With hardly any scrutiny or skepticism, the mainstream media allowed one of the most powerful persons in the world to attack a powerless sales clerk as a racist. And now that this anonymous sales clerk has branded Oprah Winfrey a liar, the billionaire media mogul is trying to make it all go away with a non-apology apology. Those are Oprah’s exact words — all told within the context of racism still being a very real problem for black people throughout the world. During the interview, though, Oprah also refused — and this will be important later — to identify the store. Immediately after airing this anecdote, the story blew up here in America and around the world — and did so with scarcely anyone in media bothering to verify the story or express any kind of skepticism. Within a few days, the entire country of Switzerland apologized. 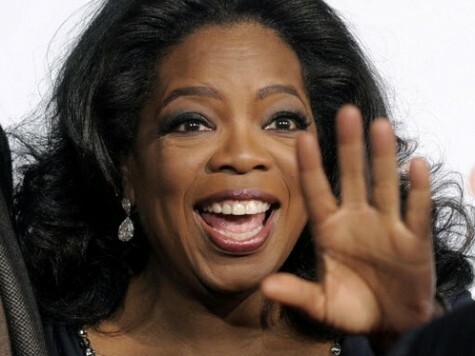 And what is Oprah’s reaction to being called a liar by a racist? Well, it certainly isn’t the reaction of someone who was the victim of racism and then called a liar by the racist. Well, who blew it up? While promoting the movie, Oprah also shared the anecdote with Larry King. Obviously, this anecdote is part of Oprah’s “Butler” promotional tour. If we had a media worth a damn, it is right about now that they would be all over this. 1. As I said yesterday, isn’t it just a little “too neat” that, while promoting a film with a heavy racial theme, Oprah pulls a “this racism just happened to me” anecdote out of a $38,000 purse? 2. Why didn’t Oprah want to announce to the world the name of a store that practices racism? Would that make the story too easy to check? 3. I repeat: Why isn’t Oprah outraged that a practicing racist just called her a liar in front of the whole world? Our media claims that its job is to hold power accountable, especially when the powerful exploit the powerless. Don’t hold your breath. Our media loves a race hoax. Although all the evidence proved race had nothing to do with the fatal shooting of Trayvon Martin, the media eagerly joined Al Sharpton and Barack Obama in their cynical con to pretend it did. But what’s the reputation of a nobody sales clerk to a media that just falsely smeared the entire state of Florida?